Randy has written extensively for local and national real estate publications. 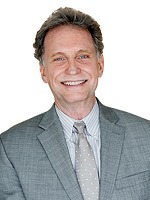 He has taught real estate classes at the University of Illinois, Parkland College and Elgin Community College. Randy has been a licensed Continuing Education Instructor for the Illinois Association of Realtors for 25 years. He also speaks to real estate investment clubs throughout the United States. Randy teaches classes on how to protect your assets and how to become more private with your personal life. He also teaches land trust law and administration, authors the only Land Trust Newsletter and Blog in the country and is the founder of the Land Trust University. Randy is an Expert Author for EzineArticles.com, REIClub.com and is a faculty member for Lorman Education Services in Eau Claire, WI. Randy is also a Faculty Advisor for Realestatemogul.com and serves as an advisor and contributor to Jeffery Taylor’s Mr. Landlord Newsletter and Website.